Yanchep and Two Rocks residents can now access key services closer to home, with the City of Wanneroo’s new satellite office – dubbed ‘YTRAC’ – celebrated at an official opening ceremony yesterday. 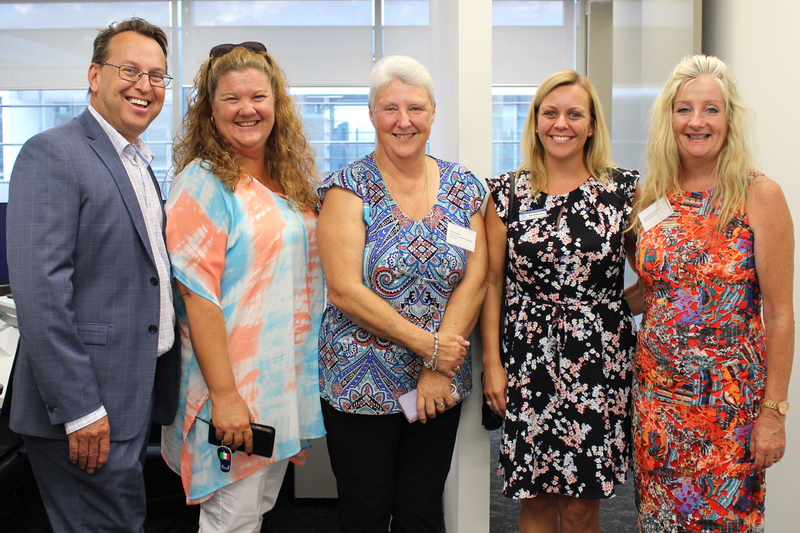 City of Wanneroo Chief Executive Officer Daniel Simms, Deputy Mayor Natalie Sangalli, Community Development Manager Katie Russell and Mayor Tracey Roberts with Yanchep Two Rocks Recreation Association representative Julie Otremba (centre). City of Wanneroo Mayor Tracey Roberts was joined by elected members and a host of local stakeholders and community groups to celebrate the new YTRAC (Yanchep Two Rocks Access Centre) premises last night, including Federal Member for Pearce Hon Christian Porter MLC. Mayor Roberts, who plans to hold regular ‘meet the Mayor’ meetings at the centre, said YTRAC formed a key piece of the City’s wider plan for Yanchep, Two Rocks and the surrounding area. “From planning to youth services, we are committed to meeting the needs of this rapidly growing community,” she said. Yanchep Beach Joint Venture (YBJV) Chief Executive Officer Gin Wah Ang said the services offered by City employees at YTRAC would complement those provided to start-ups and small-to-medium enterprise at YBJV’s Y.hub co-working space, located beneath YTRAC. “YBJV is proud to be have been involved in bringing YTRAC to life – this official opening is an important milestone for our local Yanchep community,” he said. YTRAC will operate as a satellite City office, providing a range of services to local residents in a convenient location. This service offering includes planning and building surveying services, allowing residents to submit applications and pose queries regarding development approvals in a face-to-face setting. Situated at 128 Yanchep Beach Road, Yanchep, YTRAC is open to the public on Mondays, Tuesdays and Thursdays from 8.30am to 4pm (or by appointment). Following the official opening of YTRAC, the City is calling on residents to have their say on future development and local issues. Four ‘open house’ events will be held during February and March, and local residents and community stakeholders are invited to have their say on what makes Yanchep and Two Rocks special for them, share what is already happening in their place and how the City can work in partnership in making it even better.